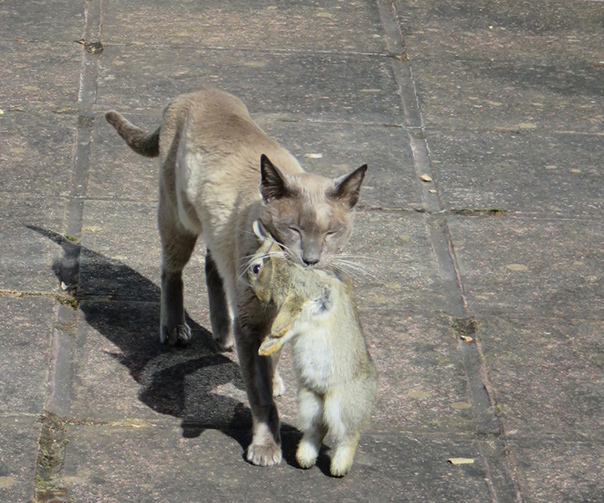 Over thousands of years cats have evolved to eat prey such as rabbits and birds. Yet most cat-foods, especially dried foods (kibble) contain large amounts of cereal and vegetable proteins. Long term this can lead to all sorts of health issues such as diabetes, obesity, bladder stones, and chronic tummy upsets. The food industry response to these health issues is to sell you an expensive ‘prescription diet’. Why not feed the right diet in the first place and prevent the condition from ever occurring? We have been proponents of feeding ‘biologically-appropriate’ foods for nearly 20 years – in those early days it was seen as being kind of crazy. Thankfully common-sense is now prevailing and even the major commercial pet-food producers are dipping their toes into the raw market. Whereas there were no commercially available raw mixes available then, there are over 80 such companies in the UK now. Our aim is to advise you on the best diet for your cat’s lifestyle. We do offer a range of our preferred foods including our own frozen ‘minced-meaty mixes’ most of which are organic, free-range or wild. Cost-wise these food can be surprisingly cost-effective – considerably cheaper than mainstream pouches such as Felix! But we are happy to help you choose ‘non’raw’ alternatives. We are not big fans of dry foods – give us virtually any wet food instead any day. But even these vary in both quality and value, and we will help you find the best route for you and your cat – it is too easy to have great intent but if puss doesn’t feel the same way it can be a challenge! A properly formulated raw diet has a number of important benefits for you and your cats. Their poo will be much much smaller, drier, and have very little odour. Coat quality usually improves, and your cat is likely to take on a sleeker, more-solid feel and appearance as fat is replaced by muscle. If swapping from a dried food, the risk of bladder problems such as stones and ‘cystitis’ will be lessened - or even eliminated. A low/no-carb diet lessens the risks of obesity, being more-satisfying, reducing the risk of diabetes at the same time. A raw diet using boney meats will also improve dental health, and provide both mental stimulation, and exercise and massage to the jaws and gums. A high-quality meaty diet can be fed for the same cost as the cheapest pouches. Moreover, you know what you are feeding and where it comes from. 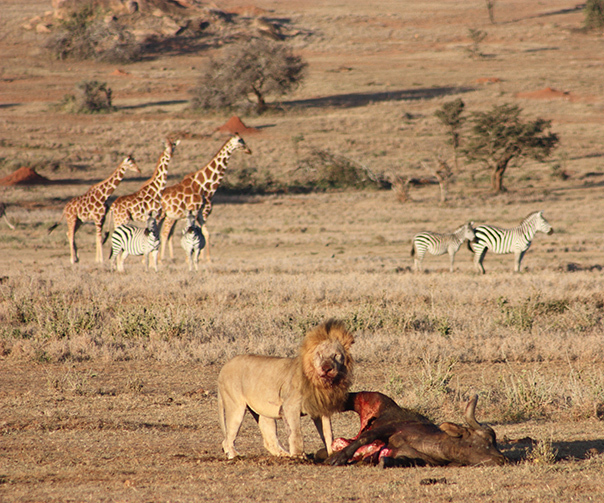 If you are going to raw-feed, it is very important to do it correctly. The danger of home formulated raw diets is that you get it wrong and end up feeding a diet that has as many potential issues as the processed stuff you were feeding previously. 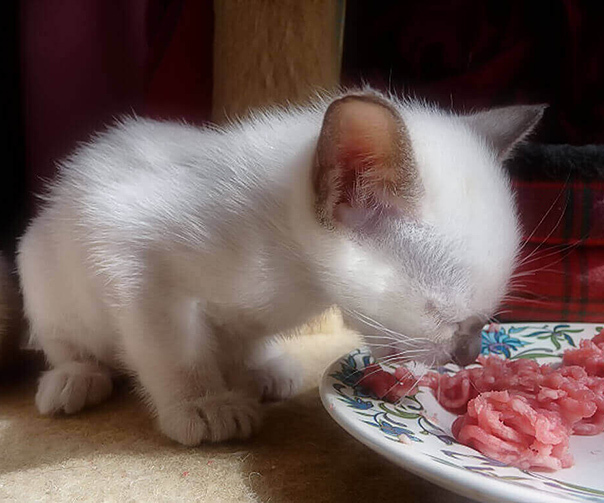 The common mistake is to feed a diet of just meat – this is not balanced and can have serious healthy consequences in young growing kittens. However it is easy to get it right. With a little knowledge there should be no problems at all, and your cats can reap all the benefits detailed above. You will hear lots of scare stories – especially that bones will cause splinters in the mouth and guts – despite the fact that cats have evolved over millennia to eat creatures full of small splintery bones! The pet-food manufacturers have a vested interest in having you believe that raw feeding is dangerous. Moreover, most people promoting dried foods generally have no experience of properly-formulated raw meat-with-bone diets and the benefits they provide. Nothing in life is without risk: feeding kibbled diets to cats is most certainly not risk free. For example, stones in the urinary tract can lead to chronic kidney disease, blockages and potentially an early death, all a result of feeding dry foods. Equally both dogs and cats have been known to choke on kibble. If you want any advice on feeding just call and we will try and help you though the maze! A low level of bacterial contamination does not mean a product is dangerous. Edwina Curry famously got egg on her face when she stated that the UK egg-laying hens were nearly all carriers of Salmonella – which they were. However, fresh eggs were not a health problem – unless you whisked them up into mayonnaise and left them for 3 days at room temperature. By the end of their ‘incubation’ those eggs then became very dangerous indeed. Otherwise there was no real issue. If one looks at the American facts and figures courtesy of the FDA – Food and drugs Agency there are some surprising figures – tens of thousands of people affected by food-poisoning every year, often from washed leaves, poorly-cooked chicken or nuts, with just single-figures of people possible catching nasty infections from their pets food over the last 10 years. It is so important to keep things into perspective. Jaffa’s raw food is all human grade, stored and prepared to the best hygienic principles. It should be defrosted and used within 24 hours, in which case there should be little chance of bacteria multiplying to dangerous levels. You should remove uneaten food after mealtimes. If you do forget to do this, your cat is unlikely to eat it anyway as they are very particular about their food, and do not find stale meat appetising – unlike our doggy friends. This is not to say the food is totally risk free – but neither is dry cat food, or tinned for that matter – they just have different risks. The bacteria in an animal’s gut will vary with the food they are fed. A healthy gut will contain the right bacteria, which will inhibit harmful ones from multiplying and causing problems. So it’s one big virtuous circle where the right food promotes a healthy gut, which can resist nasty infections better. Minced meats have any surface contamination mixed in by the mincing process, exposing much more of the food to bacteria. Conclusion: use within 48 hours of defrosting and pick up meals after mealtimes, especially in warm weather. Top quality human-grade food is obviously more expensive than waste meats and trimmings, which may be handled in a less-than hygienic manner. Bacterial contamination of cheap mixes may therefore be higher, and having a trustworthy source is therefore essential. Conclusion: Do not buy minced meat and bone unless you are confident of its origins and quality, and don’t buy the cheapest products! Pro-biotics are ‘good’ bugs. For animals fed on processed starch diets, pro-biotics can improve the gut balance, but only whilst the pro-biotics are fed. As soon as they stop being given, the ‘good bugs’ disappear again. Conclusion: just feed a food that allows the healthy bugs to thrive. What are the risks of raw feeding? Toxo is found in raw meats, and can be caught by humans. This is of no importance unless you are pregnant or immuno-compromised. Most humans catch toxo from lightly-cooked meats. When a cat first becomes infected with toxo (from eating raw, infected meat) it will pass spores in its poo for a week or two. However, these spores have to mature for 3 days or more before they become infectious. If you change your cat’s litter daily, it will never be infectious for toxo, even if your cat has the infection and is passing spores. Conclusion:avoid raw or lightly cooked meats if you pregnant, and change your cat’s litter on a daily basis. In my opinion, this is a genuine potential negative against raw-feeding. Bacteria carrying drug resistance can be fed to your pets, and whilst your pet may not suffer from any problems as a result, drug resistance can then be transferred to human bugs in the household or the wider world. However, kibble can also be contaminated with bacteria - so do you avoid feeding kibble for the same reason? Drug-resistant bugs are commonest in meat from animals given lots of drugs. Without pointing fingers, British-reared food-animals much less likely to have been treated with large amounts of antibiotics. Conclusion: feed British-reared rather than cheap meat of un-known origin. Judged as a whole it is our opinion that the risks of bacterial problems from properly prepared, stored, and served minced raw meat and bone are greatly outweighed by the benefits in virtually all cases. By using our foods, you understand and accept that there is a small risk, which you are prepared to take – very much the same situation as with anaesthetics. It’s never too young to start feeding raw! Do you need help with your cat’s diet? Make an appointment to come in for a chat.